Group home workers and some of their clients watch Saturday’s Senate debate. The Senate gave final approval Saturday to pay hikes designed to head off a strike Monday by 2,500 unionized care providers for the disabled. 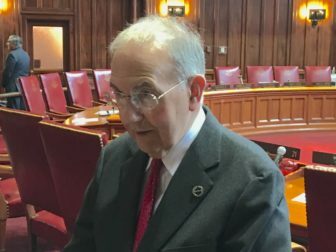 The Senate vote also means many of those who care for Connecticut’s intellectually and developmentally disabled will be getting their first raise in a decade or longer. The Senate voted 29-4 to send the legislation to Gov. Dannel P. Malloy’s desk for his expected signature. It implements a tentative deal the administration negotiated with SEIU 1199 New England that applies to 19,000 caregivers — union and non-union combined — that staff about 170 group homes and other nonprofit agencies that receive Medicaid funding from the state. 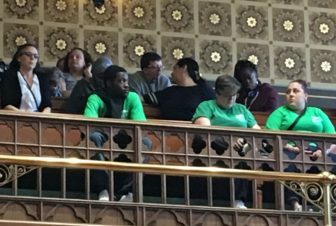 “This is extraordinarily important because the workers whose critical efforts will finally be recognized with an increase in wages under this bill have been providing a service that is essential in terms of a humane response to severe need,” said Senate President Pro Tem Martin M. Looney, D-New Haven. The bill provides funding to increase the minimum wage paid to employees to not less than $14.75 per hour starting Jan. 1. Some at group homes have gone more than a decade without a raise and are earning as little as $11.20 per hour. The measure also stipulates that caregivers earning more than $14.75 per hour and less than $30 per hour will get a 5 percent wage hike in January. To fund those raises, the state will provide $21.5 million to nonprofits in the coming fiscal year, and $43.1 million in 2019-20. The state will recoup half those annual expenses through federal Medicaid reimbursement payments. The House passed the funding bill 88-62 on Wednesday. The union had set a strike deadline of Monday and Osten said she feared a major disruption. 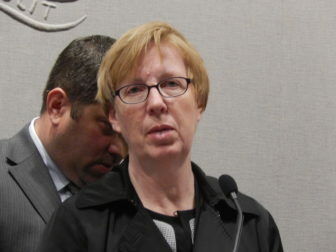 Besides 2,500 unionized workers leaving the job, the Sprague lawmaker said she anticipated many non-union workers would walk off in support of striking union members. Osten also said it was vital to avoid the $1 million per day strike cost. This would reflect expenses for recruitment, screening and training of replacement workers as well as security provisions. Republicans, who hold half of the 36 seats in the Senate, had tried unsuccessfully to amend the bill. The GOP proposal would have raised all workers’ pay to the $14.75 mark. Those above $14.75 would have received a 1 percent annual increase each year for the next five years. The proposal was rejected in an 18-14 vote along party lines. Four GOP senators were absent from that vote. 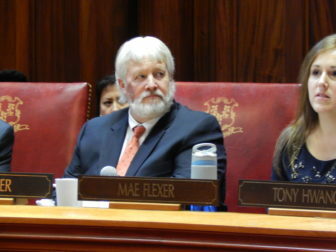 Sen. Craig Miner, R-Litchfield, who supported the Republican amendment but opposed the underlying bill, noted Connecticut was committing to significant raises even though legislators still have not agreed on a budget for the upcoming fiscal year. “Once again the cart is before the horse,” he said. The nine agencies where workers planned to strike are: Oak Hill School, Journey Found, Mosaic, Alternative Services ASI, Sunrise, New Seasons, New England Residential Services, Whole Life and Network.